A big deal was made of what Jaya Bachchan said at the music launch of Abhishek Bachchan , upcoming movie, Drona (2008) . Now B Big has formally apologized in a public press conference for comments made by his wife. The apology has also been accepted by Raj Thackeray. 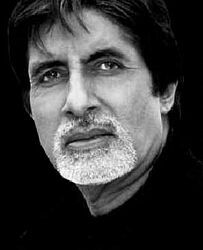 Now Amitabh Bachchan can concentrated in his movie, The Last Lear (2008) , releasing this Friday, September the 12th.